Feel free to contact us using the information below. We look forward to speaking with you. Service Area: Memphis,Tn and surrounding. Our rates are 1/3 less than most other companies and our customers are important to us. Your repair could be free! 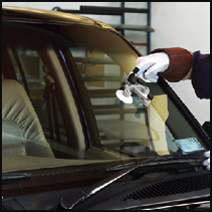 Our windshield chip repairs start at $29.99 for most cars and $19.95 for any additional chips on the same windshield done at the same time. Compare to Safelite and most other companies at $99 for the first and $99 each additional and you will see why we are rapidly becoming the leading choice for windshield repairs in Memphis, Bartlett, Cordova, Germantown and Millington. Even the tiniest chip, caused by flying rocks or other debris, will grow. With every bump in the road, vibration of the engine and changes in weather it will spread into a massive irreparable crack costing you hundreds to replace. Most people want to avoid filing an insurance claim. We are here help you decide whether or not you should file. Over 75% of our chip repair customers take advantage of our low rates and selfpay without the hassle of dealing with their insurance company. Many are reimbursed by their insurance company by simply taking our receipt to the agent. Often, the insurance company waives the deductable. Nobody beats our prices and quality of service. Let us give your Automobile, Home or Office Building a face lift! Window tinting is one investment that begins paying off as soon as we install it. On your automobile it helps protect the upholstry and interior while making your commute much more comfortable. It does the same for your home or office by not only protecting your valuable artwork furnishings, LCD/Plasma screens and even your flooring from damaging sun damage but also making it more energy-efficient, climate-balanced, privatized with added security and more asthetically pleasing. As we know, the better looking an automobile or property is, the more valuable it is. Don't delay. Make an appointment for a Tint Specialist to visit your property and give you a free quote.